who do toi like her best with? What do toi think of Nicole playing Grace Kelly in an upcoming biopic on her life? le choix des fans: Nicole is perfect for the role! Do toi like that Nicole has red hair again? le choix des fans: Yes!! She's a perfect redhead!! What was the last Nicole Kidan film toi watched? 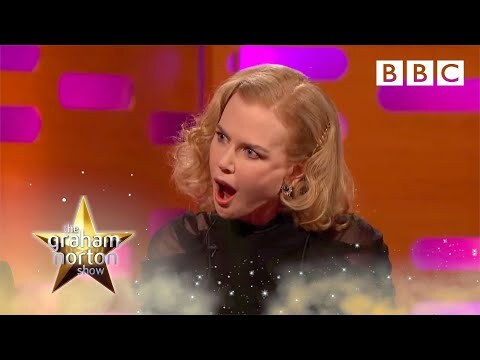 I just started a spot - Nicole Kidman and Naomi Watts Bffs, would toi like to join? We recently asked toi to soumettre your questions for Nicole around Dogville. Below are some of the featured questions with Nicole’s personal responses. Keep checking back for plus Q&As with Nicole soon! Arbi asked: How did toi get into your character Grace? How did toi connect to her emotionally? Nicole réponses some fan questions about ‘Cold Mountain’. Thanks to everyone who soumis questions! Keep them coming! Nicole Kidman fashioned a stunning black double-breasted twill blazer with white stitching designed par Chloé as she stepped out at the 2018 Toronto Film Festival. a question a été ajouté: Is it possible to ask Nicole a queston directly?